Professor Debashis Chatterjee has taught leadership classes at Harvard University and at the Indian Institutes of Management (IIM), Calcutta, Lucknow, and Kozhikode. He has been awarded the prestigious Fulbright Fellowship twice for Pre-Doctoral and Post-Doctoral work at Harvard University. He is the author of seventeen books including Timeless Leadership (Wiley). He has served as Dean of an international business school in Singapore. 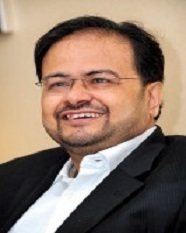 Professor Chatterjee is former Director of the Indian Institute of Management, (IIM), Kozhikode (2009-2014) and a tenured Professor at IIM Lucknow in the Human Resources Management Area. He served as Independent Director on the Boards of several multinational and Indian Companies. His He can be reached at: current research interests include corporate and institutional leadership, effective governance, learning organization, innovation and Indian ethos in management.